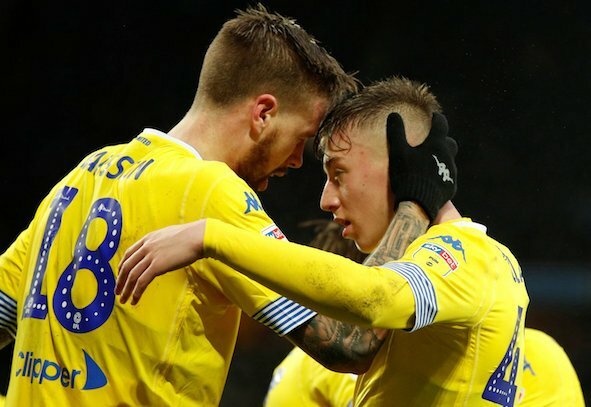 Jurgen Klopp wants Liverpool to launch a bid for Leeds United winger Jack Clarke in the summer in order to beat other Premier League sides to his signature, according to the Daily Express. The national newspaper claim that the eccentric manager has identified the 18-year-old winger as a priority target and that a spending spree is on the cards for the Reds due to the club’s finances being in good health. The Express report that Klopp is very keen in adding Clarke to his squad and wants the Reds to make an offer for him even if Leeds win promotion from the Championship. With Liverpool having the power to spend big then an offer too good to refuse could come in for Clarke, and it’s unthinkable that the Whites could part company with him. The 18-year-old winger looks to have a bright future at Elland Road after breaking into the first-team this season to make 16 appearances, so you’d think Leeds will want to hold onto at all costs. The only issue is that if Liverpool have made Clarke a priority target due to Klopp being personally keen on recruiting the teenager, Leeds may struggle to fend off interest from Anfield. It’s believable that Liverpool will like spend cash in the summer after a quiet January and it’s very likely that Klopp may have one eye on signing Clarke due to his potential. However Leeds will surely only consider selling Clarke if a side pays way above market value for him, so there’s good chance he is going nowhere. Also while the Reds are willing to bid for the attacker even if Leeds get promoted, if the Whites do reach the Premier League Clarke may be inclined to stick with Marcelo Bielsa’s side as he will get more minutes in England’s top-flight with them rather than at Anfield.